This project will develop integrated experimental and modelling framework approaches that allow the investigation of the local to global scale opportunities and challenges for sustainable food production. 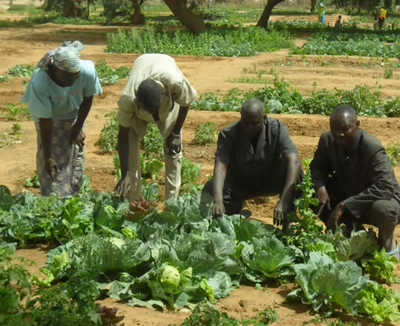 The project will focus on using productive sanitation (organic fertilization) in combination with water management interventios as a means to increase crop productivity in Niger, but will develop methodologies to translate lessons learnt from this case-study to enhance our regional and global understanding of opportunities for food security in Africa, climate change adaptation and mitigation and social acceptance and equity. The triple green approach entails producing higher yields (green) by adopting productive sanitation systems and supplemental irrigation, using green water more efficiently, i.e. developing sustainable agricultural methods (green) to achieve future food security.